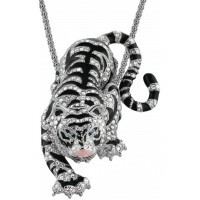 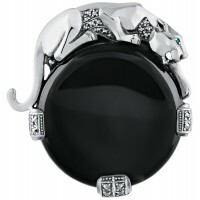 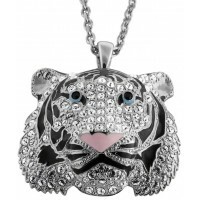 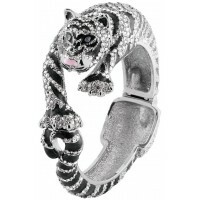 Striking statement pieces with a big cat theme. 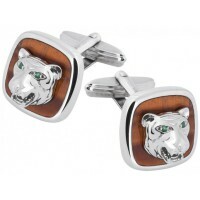 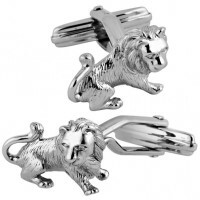 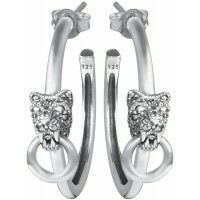 Including sterling silver lion cufflinks and our famous collection of the Duchess of Windsor inspired panther jewellery collection. 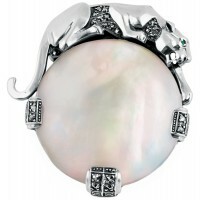 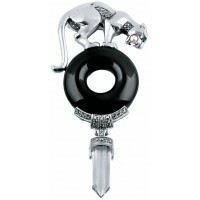 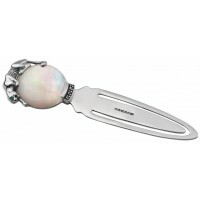 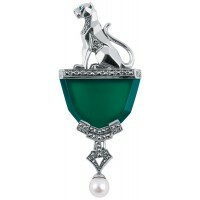 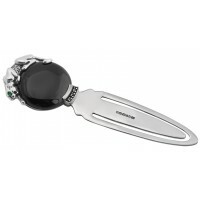 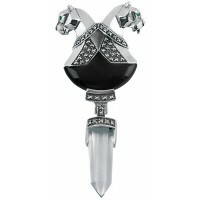 B325 Mother of Pearl Panther Brooch Sterling Silver Ari D Norman Our beautiful panthe..
"Worn at Windsor..." This sterling silver and mother of pearl panther brooch is inspired by the l..
B327 Onyx Panther Brooch Sterling Silver Ari D Norman Standing proudly on top of an o..
B330 Onyx Double Headed Panther Brooch Sterling Silver Ari D Norman Our sterling silv..
B353 Green Agate Panther Brooch Sterling Silver Ari D Norman Part of the 'Windsor Col..
B361 Onyx Panther Brooch Sterling Silver Ari D Norman This sterling silver panther br..
CU487 Ari D Norman Sterling Silver Lion Cufflinks Bring out your animal instinct with thes..
CU585 Ari D Norman Sterling Silver Tiger Cufflinks A great gift for any discerning gentlem..
EA606 Panther Hoop Earrings Sterling Silver Ari D Norman Our sterling silver panther hoop ..
GT308 Mother of Pearl Panther Bookmark Sterling Silver Ari D Norman A quality assured ster..
GT309 Onyx Panther Bookmark Sterling Silver Ari D Norman A quality assured sterling silver..
JBE9 Siberian Tiger Bracelet Jewelari of London Influenced by the worldwide travels of Ari..
JNK3 Rhodium Plated Siberian Tiger Pendant / Brooch Jewelari of London One of most beautif..
Ari D Norman is the first silversmith ever to be awarded the Queen's Award for Export Achievem..
JNK42 Rhodium Plated Siberian Tiger Head Crystal Brooch / Pendant Jewelari of London Inspi..